The eighth edition of the "Star Wars" franchise will arrive in movie theaters on May 26, 2017. Disney (DIS) CEO Bob Iger announced the "Star Wars: Episode VIII" release date during an investors event on Thursday. The date has special meaning for some fans, because it's forty years and one day after the original film, "A New Hope," was released. The film will be directed by Rian Johnson and will continue after the events of the seventh edition, "The Force Awakens," which will be released on December 18 of this year. Depending on your perspective, there will be either a long or a short 18-month wait between "Episode VII" and "Episode VIII." In 2012, Disney acquired Lucasfilm, the production company founded by "Star Wars" creator George Lucas, for $4 billion. In announcing the deal, Iger said the company's "long-term plan is to release a new Stars Wars feature film every two to three years." Lucas said at the time that he was ready to "pass Star Wars on to a new generation of filmmakers." On Thursday, Iger also announced the title for the first "Star Wars" spinoff, which will be called "Rogue One." The spinoff film will be directed by Gareth Edwards (the director of last year's "Godzilla" reboot) and will star Felicity Jones, a recent Best Actress Oscar nominee for her role in "The Theory of Everything." "Rogue One" will be different than your average "Star Wars" film, as it "explores the characters and events beyond the core 'Star Wars' saga," according to a statement on the franchise's website. It's due to come out in December 2016. 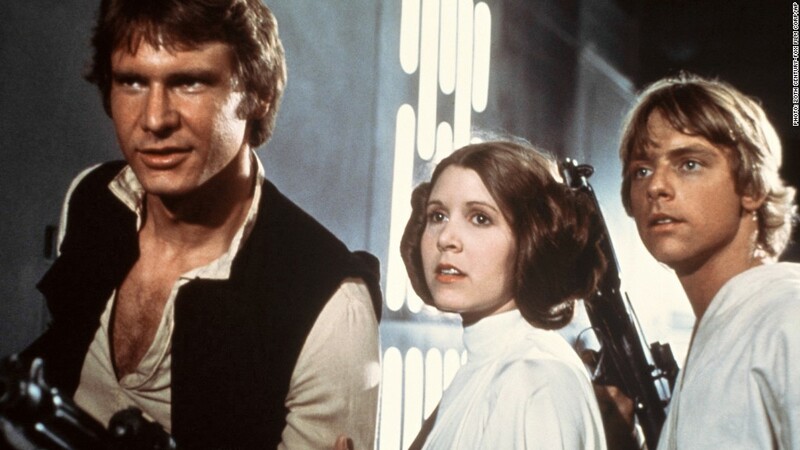 As for this December's "Episode VII," it will feature the three primary cast members from the original movies -- Harrison Ford, Mark Hamill and Carrie Fisher -- as well as contemporary stars like Lupita Nyong'o and Adam Driver. It is being directed by J.J. Abrams, the creative force behind the most recent incarnation of the "Star Trek" franchise.